The off-road racing world is about to get shaken up big time. 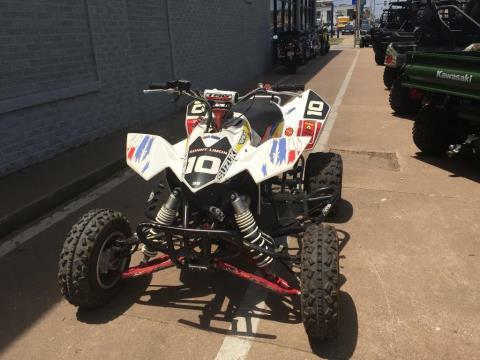 Introducing the all-new Suzuki QuadRacer LT-R450™. It has an aggressive, low and wide stance and stunning styling that lets everybody know it's engineered to provide race-winning performance right off the dealer's floor. 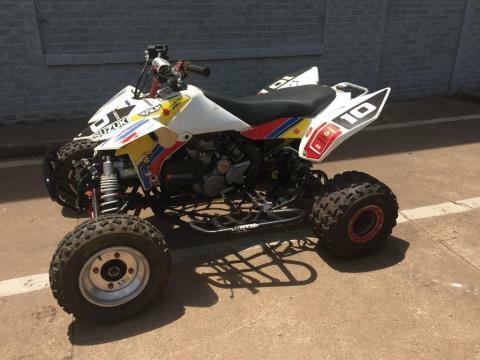 With a fuel-injected 450 cc four-stroke powerplant based on the championship-winning Suzuki RM-Z450, the QuadRacer LT-R450 rewards you with blazing acceleration out of corners, matched by a flat-out sensational top-end performance. It's also designed to handle the nastiest tracks and come back for more. It has a technically advanced chassis and responsive, long-travel suspension front and rear, so you can choose you line and go for it. There's even more good news. The QuadRacer LT-R450 is not only race-ready, it's also designed to shatter the myth that high performance has to be high priced. So don't just race - race to win. With the all new Suzuki QuadRacer LT-R450.